It’s usually a lost cause trying to get the new and old schools of thought to agree. The BMW community is notorious for having factions between classic and modern era cars. 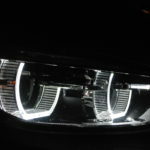 Whether or not it’s correct, I’m led to believe the E46 is the end of the traditional BMW 3-series formula, and the E90 is the beginning of the technology focused era. That being said, the purists are not always keen to accept the new direction of the brand. If it weren’t for the heads-up display, you’d probably blast through a school zone at 50 mph and not realize you were speeding. 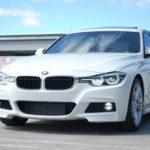 The second act of the next generation of 3-series comes in the form of the F30 chassis. The 335i and its close relative the 340i have kept the spirit of the straight six alive, but cars with smaller numbered suffixes have adopted the less-is-more mentality. BMW released the 328i in the states for the 1996 model year. 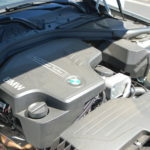 At that time, it was a 3-series with a 2.8 liter inline six. Very self-explanatory by old BMW nomenclature. Teleport two decades to 2016, and the 328i is phased out as the 330i takes its place. For the 328’s last hurrah, the N/A straight six was evicted, and a 4 cylinder turbo now lives in the engine bay. Oh no! What has become of the benchmark sports sedan? 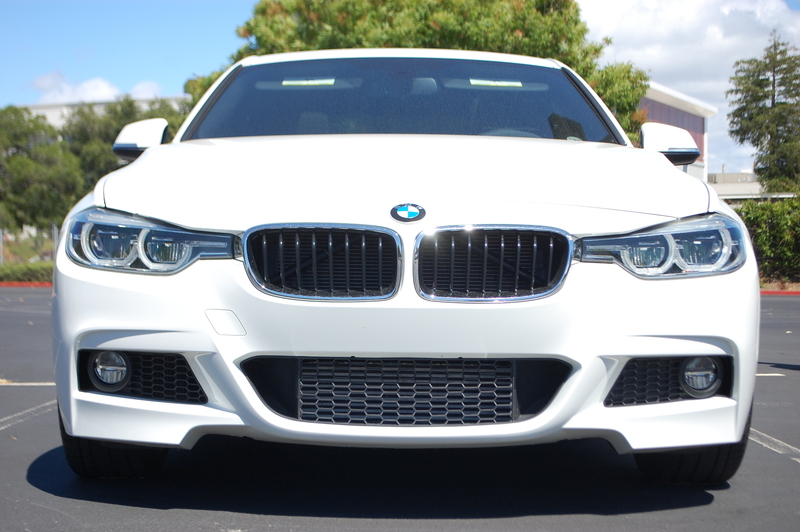 From the outside, the F30 is a sleek sedan, but full of complex design cues that make you wonder if HAL 9000 was in charge of the styling department. 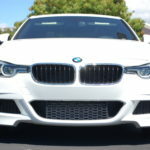 A standard F30 can look pretty mundane, but check the box for the M-Sport package, and the F30’s styling is instantly transformed not unlike that of an F10 5-series. 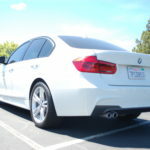 In terms of size, the F30 chassis has a wheelbase that’s approximately 2″ longer than the previous E90, but thanks to the use of lighter (more plastic?) 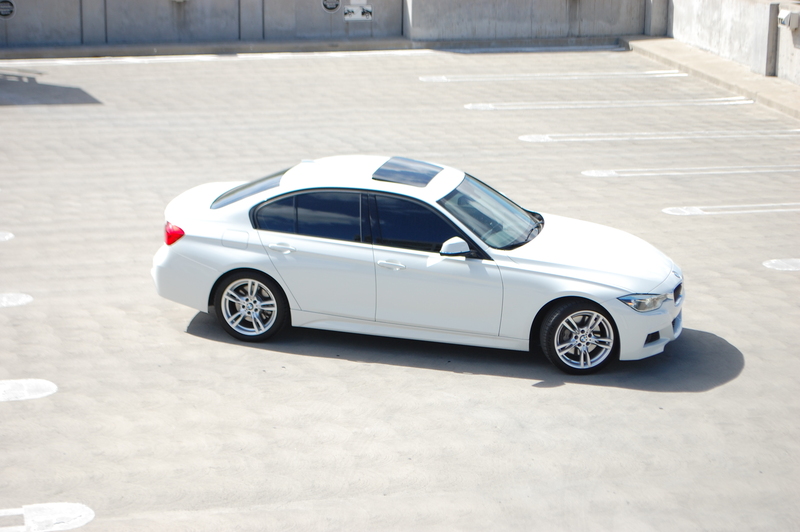 materials, the F30 weighs around 100 lbs less, tipping the scales a smidge over 3400 lbs. 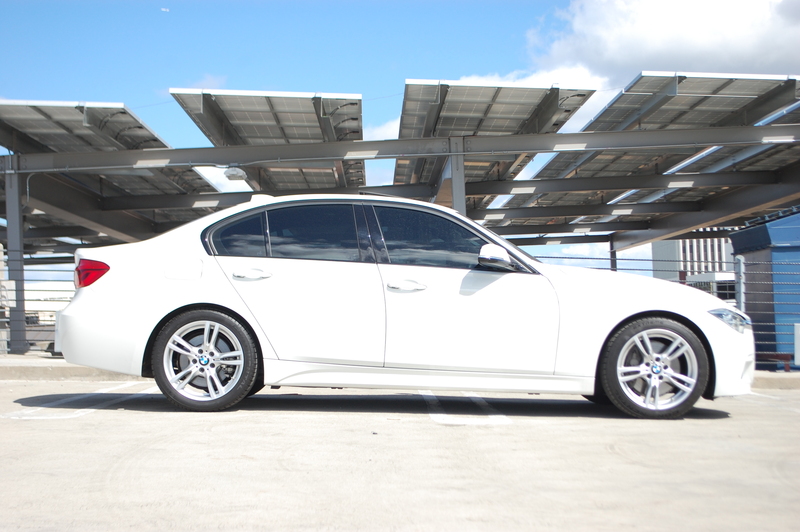 No it’s not a 5-series, but certainly keeps good looks in the family! 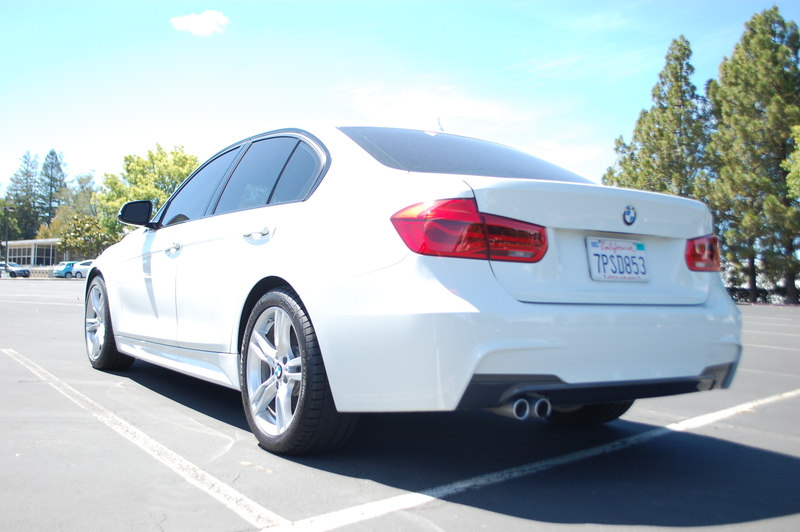 The M-Sport package also adds a better looking rear bumper and pair of side skirts. Ready for Philz Coffee, the Apple Store, 7-11, or wherever “The Millennials” go. Grab one of the five seats inside the 328i and it’s evident that new BMWs are a sensible place to be. 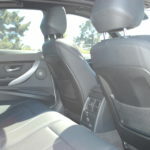 The optional sport seats up front are very comfortable and supportive, but not overly bolstered, which is a big plus when constantly getting in and out of the car. This particular car came equipped with the Sensatec (leatherette) upholstery, but leather is an optional extra for the traditionalists. 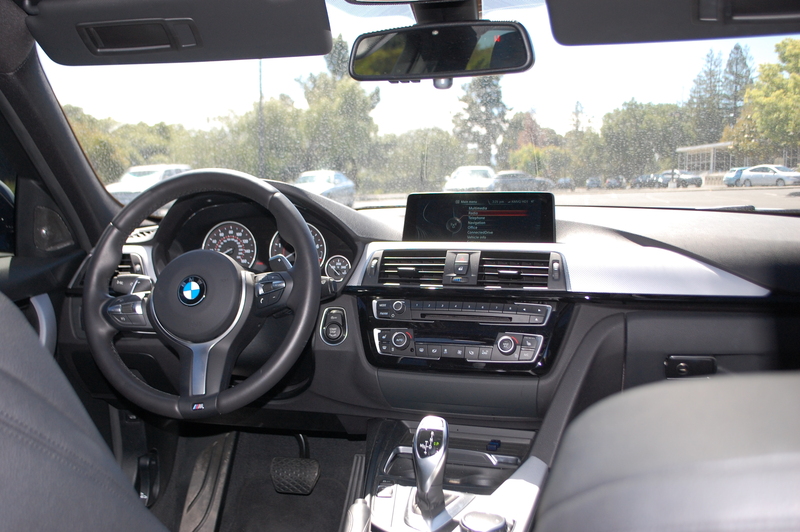 Despite chic aluminum accents, the F30’s interior is designed around the iDrive infotainment system. 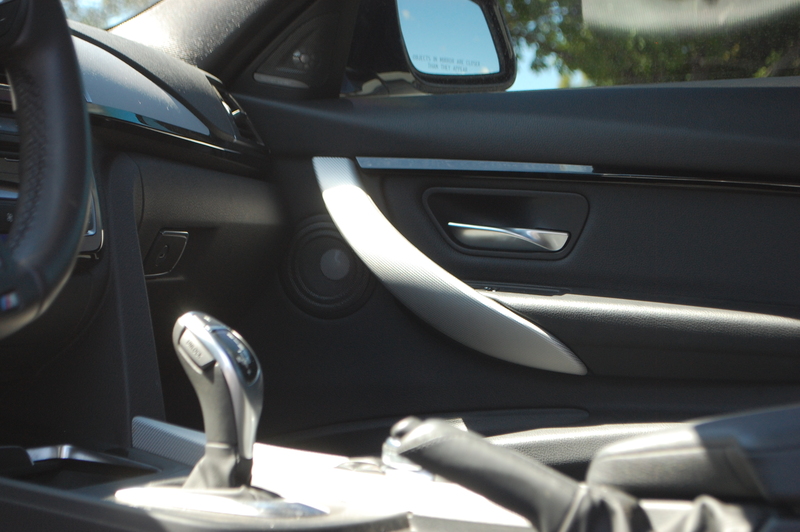 Using the rotary scroller located on the center console, navigating iDrive is fairly intuitive. From hands free calling, to vehicle systems status, you can oversee a small mainframe of data. Interestingly enough, there’s no display for coolant temperature, but rather an oil temp gauge in its place . As long as the key fob is within close proximity, starting the 328 is as simple as the push of a button. The 2.0 liter four cylinder is extraordinarily quiet; it’s very difficult to know if the car is idling unless your ear is directly next to the tailpipe. 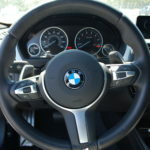 Putting the car into gear requires using the joystick and asking the transmission if it’ll select drive. As long as you’ve gone through the pre-flight checklist, the trans will play nice and send you along your way. With 8 speeds to choose from, the ZF auto is constantly shifting, but it’s buttery smooth and hardly noticeable. The benefit to the constant shifting is that the car is always in the power band. Plant your right foot down and the hairdryer spools up 240 horsepower & 255 lb-ft. of torque immediately. 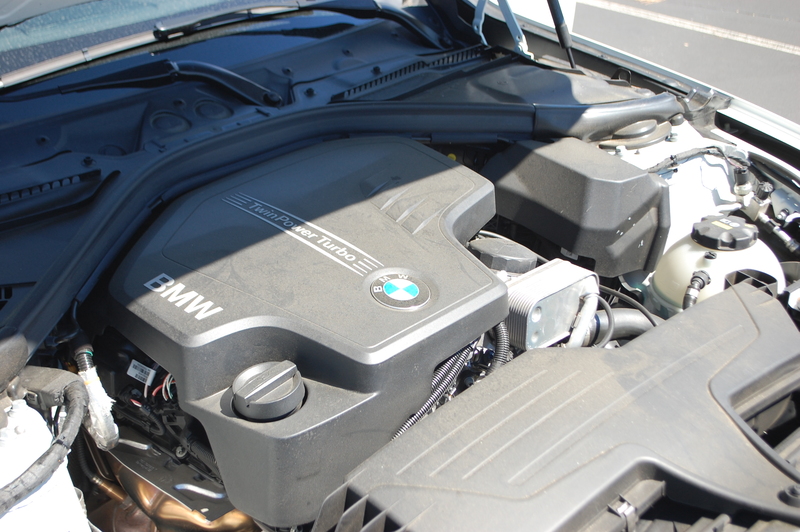 Supposedly the N20/N26 powered 328i will scoot to 60 mph in well under 6 seconds, and I believe it. The torque of the turbo paired with the close ratios of the 8-speed gear box means this car will stomp a lot of yesteryear’s M3’s with little fuss. If it weren’t for the heads-up display, you’d probably blast through a school zone at 50 mph and not realize you were speeding. The dash is full of the latest techno-wizardry. 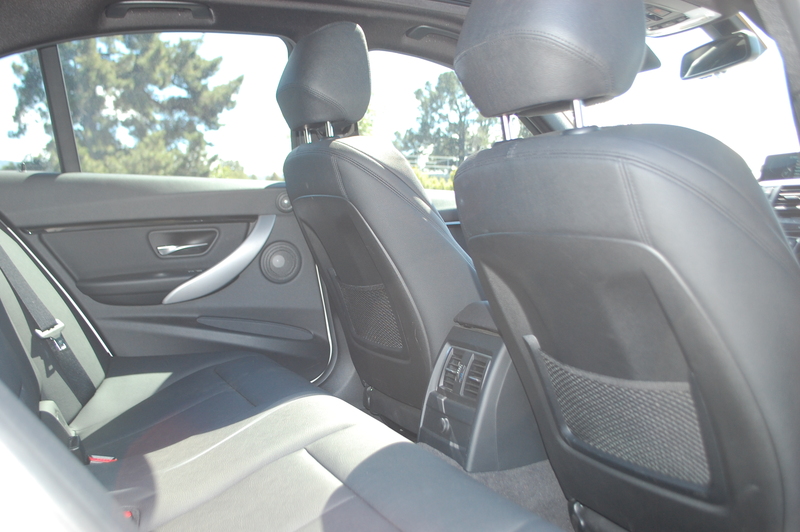 Rear seats have plenty of legroom for full size adults. 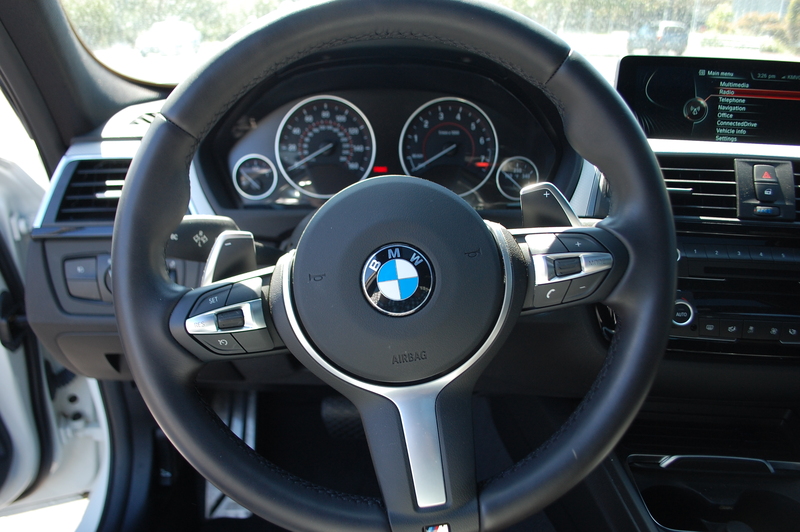 Sporty 3-spoke wheel is nice to handle and paddle shifters are within easy reach. Brushed aluminum accents add contrast to an otherwise stark interior. 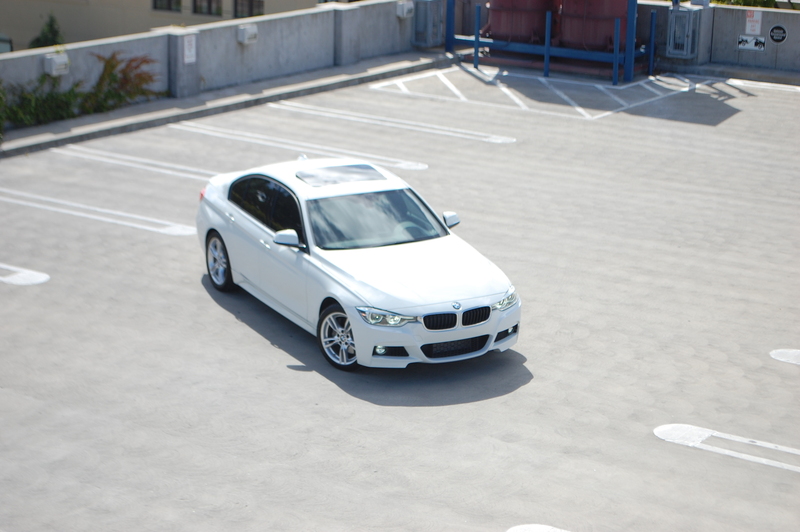 Once you’re done embarrassing a lot of hot cars at the stoplight, the F30 will keep its cool over bumps and dips. 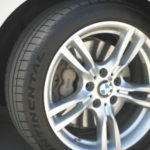 For what is effectively the size of an old 5-series, the F30 is very composed through corners thanks to the well matched M-Sport shocks and springs. Four piston calipers up front also mean business for hard stopping. 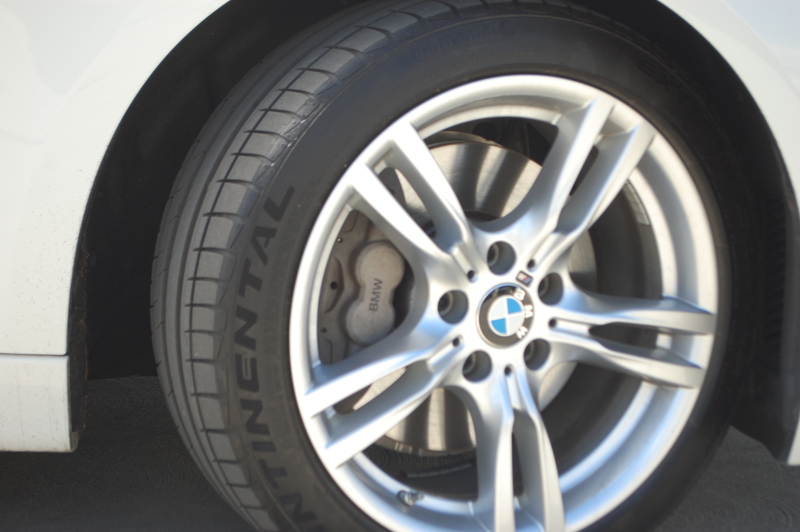 With 340 x 30 mm rotors, an M-Sport 328 has brakes that’ll outgun most e46 M3s. 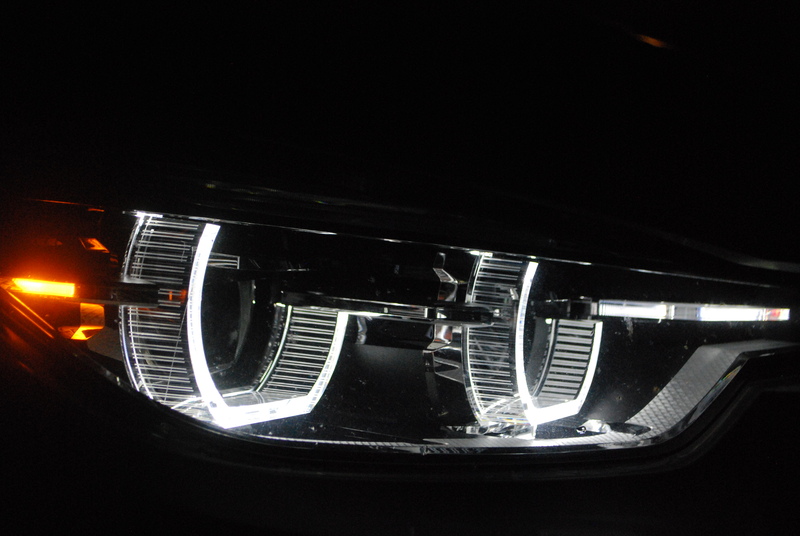 LED headlights are a stylish addition for the 2016+ models. 2 liters and a turbo pump out a healthy 240 horses. With the engine shoved to the firewall, the front end is light and provides great steering feel. M-Sport 4-piston calipers paired with 340mm front rotors look great under the 18″ wheels. When in doubt, choose Alpine White. Something take into consideration is the 4 cylinder sits very far back in the engine bay, so that contributes a lot to crisp turn-in feel over the 6 cylinder car (which suffers a 150 lb penalty as a result). I’m pleased to say the electric power steering doesn’t exhibit the numbness you’d come to expect, so kudos to BMW for spending time to weight it properly. 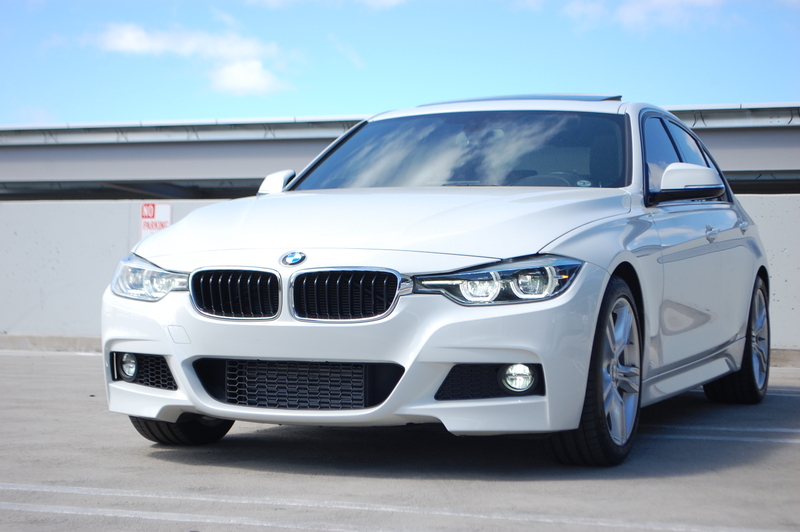 Based on appearances and road manners, the F30 seems to be the best 3-series to date. It has every technological gizmo you could ask for, rides superb, has plenty of power, and returns great fuel economy on long trips. The F30 checks every box for consumers, yet Michael, the car’s owner, plans to sell the car and fix up his old 2006 325ci instead. Talk about a total 180, but his reasoning is that his 120k mile e46 is more fun to drive. Even with 60 less horsepower hauling around similar weight, the 325Ci captures the spirit of what it meant to own a BMW. Yes there are luxury appointments, but precise road feel, nimble proportions, and great visibility are what make old 3-series Bimmers so popular. 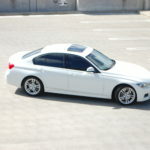 By contrast, the large pillars and high door sills compromise outward visibility in the F30. With stricter safety standards, certain design elements are unavoidable in a modern car, but that shouldn’t detract from the overall package. Therein lies the issue with the F30: Unlike the e46 and it’s predecessors, the F30 isolates the driver a little too much from the road in the name of comfort. In the world of German saloons, that was typically Benz’s turf, whereas the BMW set the bar for sport sedans. Looks like the 3-series has gone a bit soft. 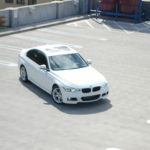 If your BMW merely transports you from A to B, then performance driving dynamics may not be a priority. 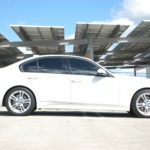 For running around town and sitting in traffic, the current 3-series provides some of the best luxury and technology in its class For many of today’s buyers, that’s what matters most. If that’s the car’s core focus, then great for BMW. The F30 is genuinely a great car in it’s own right, but it’s going to be a while before the 3-series earns its title back as the Ultimate Driving Machine.